After a successful trip to the Französischer Dom I decided it was time to tackle the Siegessäule (Victory Column) and get some more great views over Berlin. 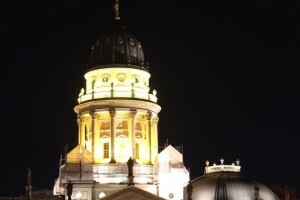 Known by the locals as Gold Else (Berliners have a fondness for giving their public buildings nicknames), the column is topped by a gilded bronze statue of the Roman goddess of victory, Victoria. 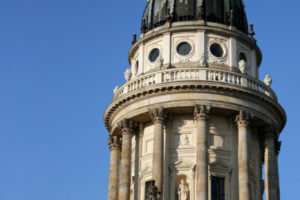 The column was renovated in 2011 at a cost of EUR 4 Million. 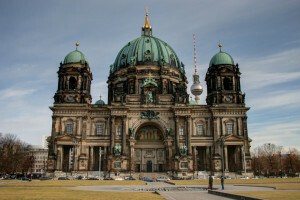 The construction of the Siegessäule began in 1865 to commemorate a Prussian victory over Denmark in 1864. The statue of Victoria was not part of the original plans but was added later, as by the time the work was completed in 1873 there were further victories over Austria and France in 1866 and 1871 to be celebrated. 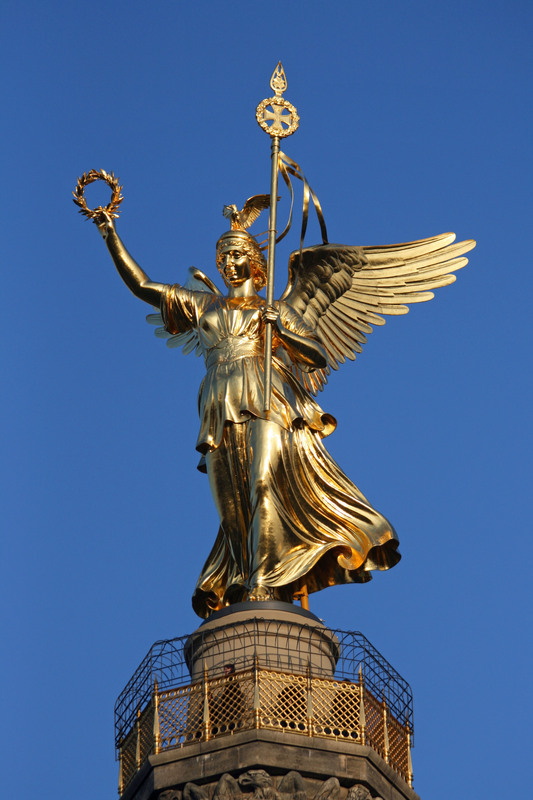 The Siegessäule was moved to its current position on the Grosser Stern, a roundabout (albeit a very grand one) in the Tiergarten, in accordance with Albert Speer’s plans for Hitler’s new Germania. 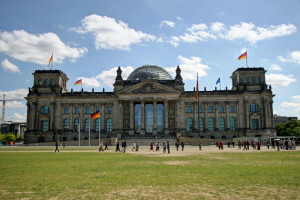 This move from the Platz der Republik (then known as Königsplatz), in front of the Reichstag, saved the column from destruction during the bombing raids of World War II. 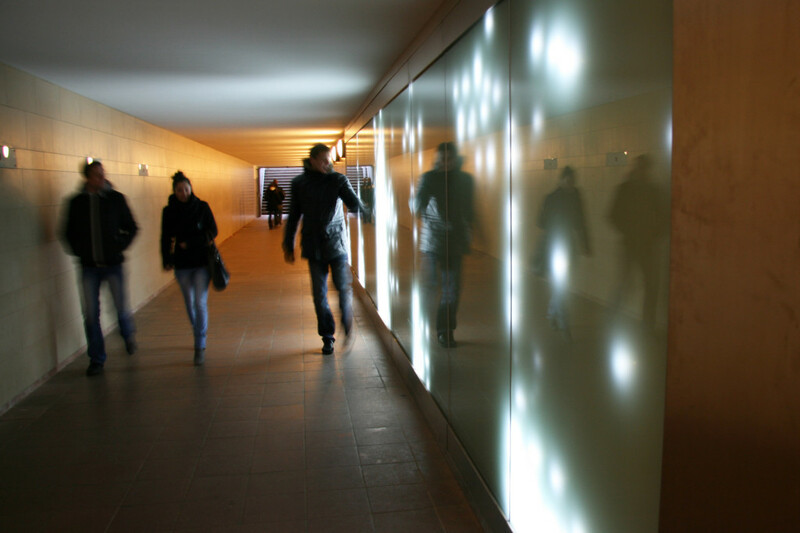 There are light installations in the four tunnels leading from the surrounding roads to the Grosser Stern (Great Star). The lights are activated by movement in front of cameras mounted in the opposite wall. An unexpected find, I enjoyed these almost as much as the Siegessäule itself. 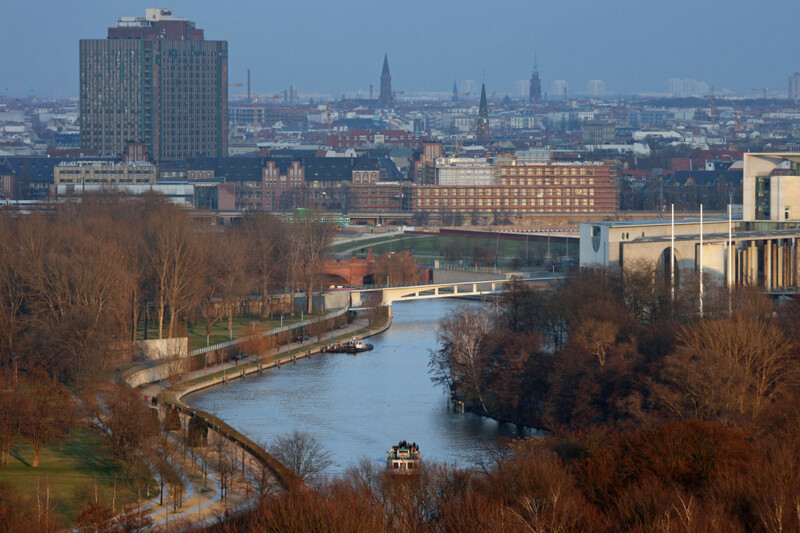 Entrance to the viewing platform, reached by climbing the 285 steps of a tight and winding staircase is EUR 3. Having reached the viewing platform a little breathless from the climb I was buffeted by the wind and assaulted by the cold on emerging 60 metres up. I had to pop back inside the staircase when I needed to change the lenses on my camera, as my hands were so cold when I took off my gloves. 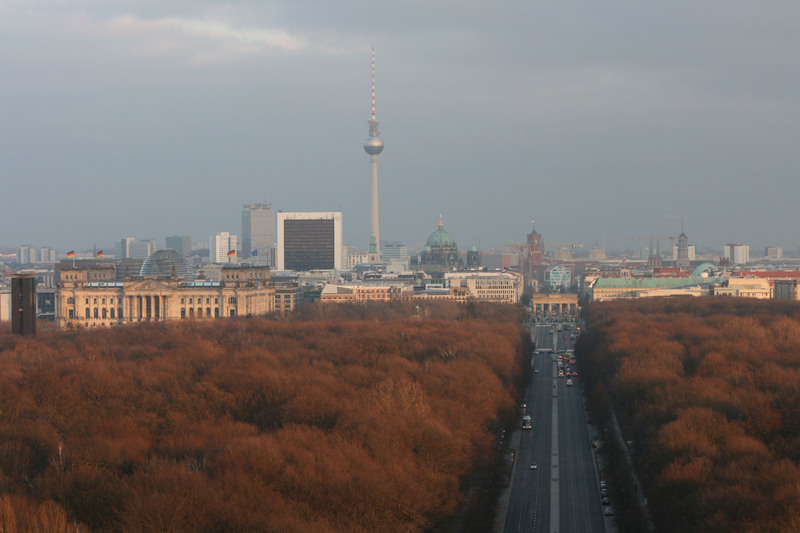 But for views like these over the Tiergarten and the city beyond, EUR 3 and cold hands is a small price to pay. 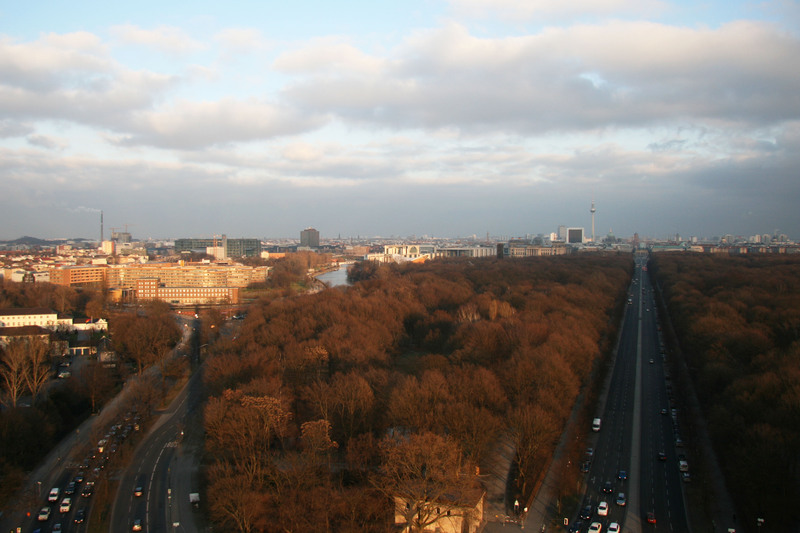 I’d like to come back to climb the Siegessäule again in the summer when I’ll be able to spend a bit more time appreciating the spectacular views over Berlin.